RC planes have proven to be quite the fascinating device for young flyers and flying enthusiasts. This is true for both amateurs and experienced flyers. However today, we are going to learn how to make an RC plane from scratch which can be exciting for the DIY kind of flyers. The first thing that you are required to do here is finding the right equipment. 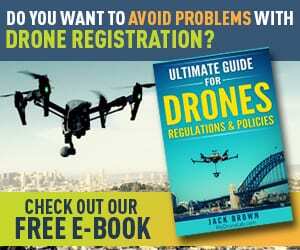 There are quite a few considerations you need to make while selecting the right parts for the device like the type of motors you need, or the frame that will hold the aircraft together. What do you need to make an RC plane? Arguably, the most important part of the entire RC plane has to be the frame. 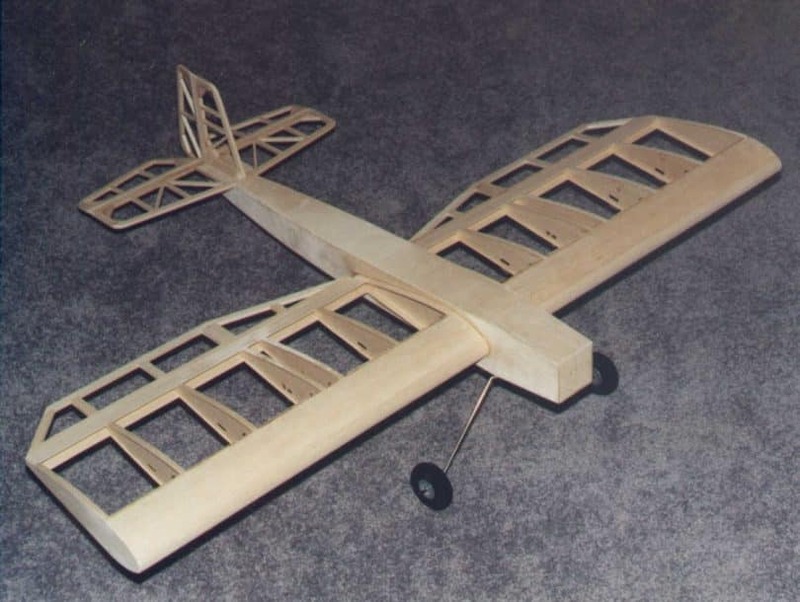 When it comes to making an RC aircraft, choosing the right frame is the first hurdle you need to cross. 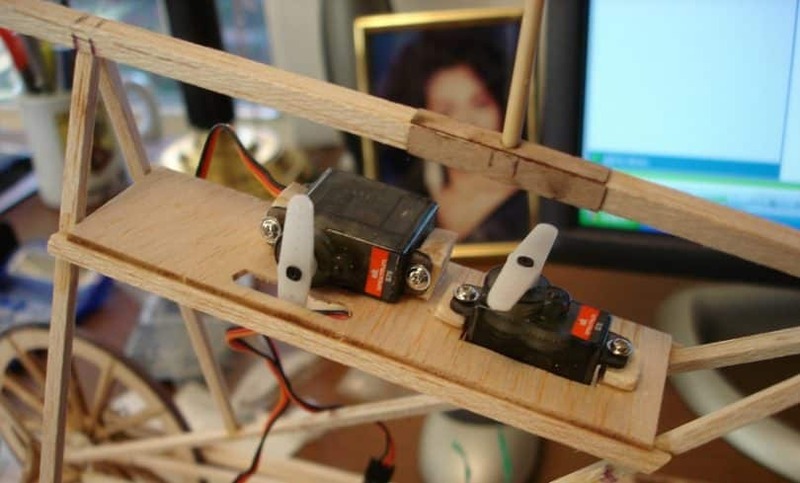 Interesting fact: In the early days of RC devices, people used wood for the frame. Of course, times changed and so did the primary ingredient of the product. Nowadays, one of the more favored materials for this purpose is carbon fiber. In many planes, you will see that carbon fiber has been used and it actually gives a better shape to the plane as a whole. The only issue that comes along with carbon fiber is its high cost. There is no doubt that cost does have an important role in choosing materials and parts for the plane, but if you are willing to spend a little more, then carbon fiber is the best choice. If you can’t go over budget, there are other materials you can choose for the frame. 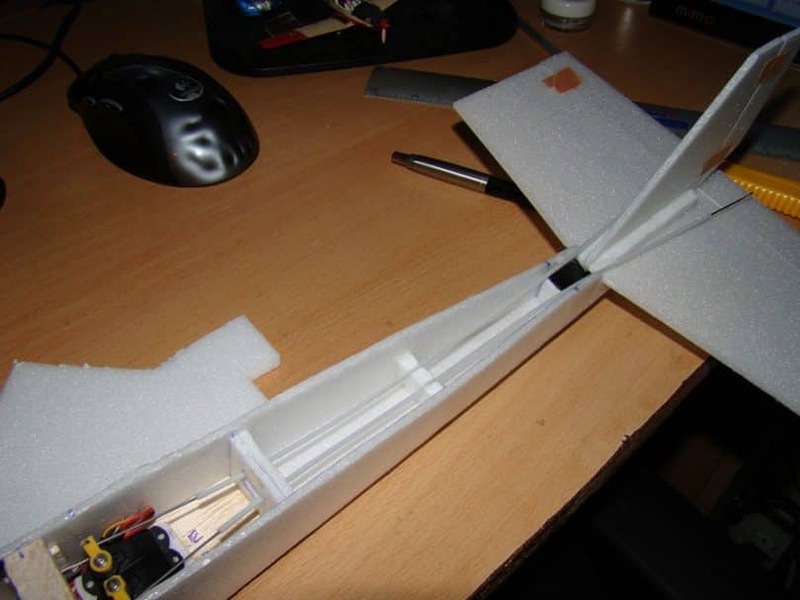 For instance, some of the most commonly used materials for creating the airframe of RC planes are: extruded polystyrene foam also known as Styrofoam or expanded polystyrene. These are easily available materials and, of course, they are affordable. Moreover, Depron is another material that is in demand for making the airframe of the plane. The reason most of the RC plane enthusiasts are opting for this material is its ability to mix flexibility along with rigidity which is not something that you get in common airframe materials. In addition, this particular feature of the product allows the RC plane to absorb a lot of stress that it might encounter whilst in air. If you are building an aircraft for a beginner, then using expanded polypropylene would be a wise idea. We say this because this product is known to support any kind of abuse – and this will definitely happen if the plane goes to a beginner. 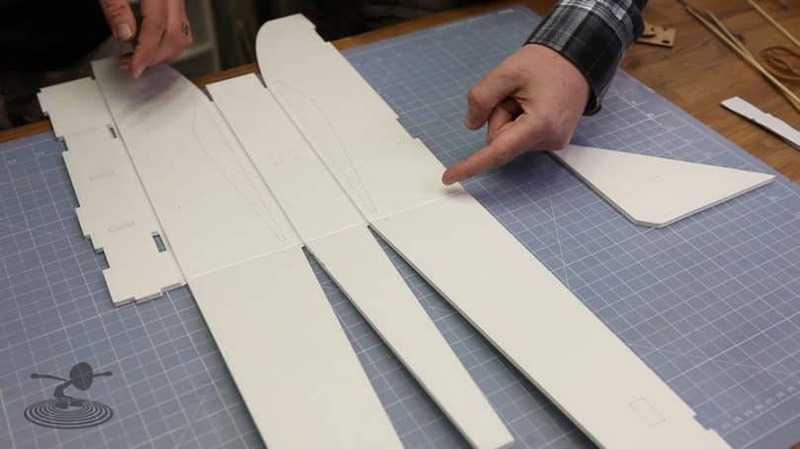 One of the things you absolutely need to build an RC plane is the tail. For starters, the tail is used to give the flying machine proper direction while in flight. It is also responsible for making sure that the plane has the necessary stability. Most tails used in today’s RC aircrafts support a V-shape while both the rudders and elevators have more or less similar designs. One of the reasons why people tend to choose the V-tails is the simple fact that they create lesser drag and they are lighter. However, you will also find another type of tail in the market. This one comes in a T-shape and it’s usually found in the US. Given the importance of these parts, it would not be a bad idea to look carefully while deciding what kind of parts you are going to use. Lastly, you must remember that these tails are controlled with the help of an external product such as remote controls and a transmitter which is why you must make sure that the tails are functioning and are in sync with the transmitter. The transmitter and receiver are of the utmost importance for your plane. So, if you want to be able to fly it correctly, you must make sure the products you choose are of the highest quality. Moreover, if you are using a radio transmitter for this purpose, then make sure to check the number of channels it offers. These channels control the movement of the RC plane. Usually, radio transmitters are known to provide at least 2 different channels. 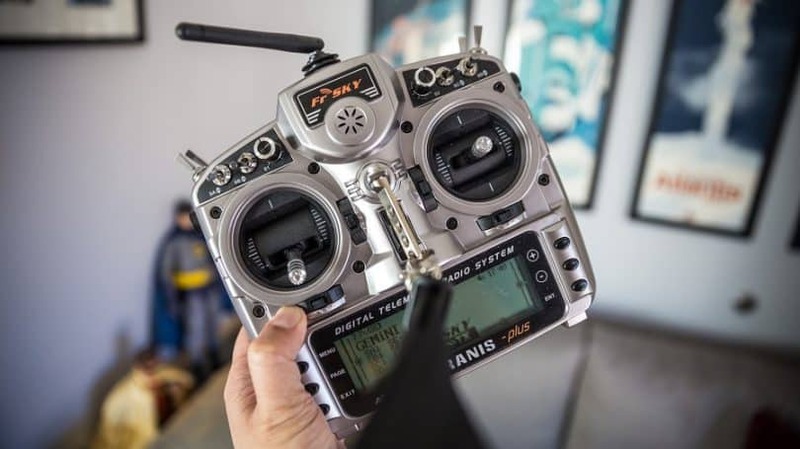 Still, if you are looking for a good transmitter, then try to find one with 4 channels as they are known to provide better control over the plane. The usual job of the 4 channels is to control the throttle, rudder, elevator and ailerons. How you power your receiver depends on the power system of the aircraft you are building. If you are going to make a gas powered RC plane, you would need a receiver that is powered by separate rechargeable batteries since the aircraft doesn’t have any of its own. The situation is a little different for electrically powered planes. In this case, since there is already a source of battery power in the device, you could just make use of the batteries that power the propellers. This connection can be done via a battery eliminitor circuit. In that way, you wouldn’t need to spend on extra batteries for the receiver. Some of the well-known brands for receivers we can recommend are: HiTech,Futaba, Airttronics and the likes. Tip: If you are going to fly multiple planes, you can just get one radio transmitter and programme your receiver to have n number of memories. In this way, you can switch from one aircraft to another, working on the same transmitter. It saves a lot of money since with every new plane, you would just be buying a new receiver! No matter what kind of RC plane you are trying to build, you will need good servos for the purpose. This is perhaps the most important part of the airplanes as they are solely responsible for proper functioning of the device. This is actually the motor which controls and helps the movement of rudders, throttle and flaps, all of which are necessary for the flight. Also, more importantly, these elements come in all shapes and sizes which means that no matter what size your RC plane is, you will always find a servo for your device. One thing to be noted here is that the torque generated by the servo depends on the size of the servo you choose. Again, you have a different type of servos for electric powered and gas powered RC planes, which is why choosing compatible elements is an absolute must. Let us now take a look at that element in any RC plane that makes its movement possible from point A to point B. There are a number of different controls that are doing the rounds in the market but you can’t choose the first one that hops in your way. One of the most crucial features you need to look for in your controller is the number of functions it offers. More functions would give you better control. Also, it would be a good idea to give your aircraft and controller a trial run to identify whether they are compatible or not. Some of the controllers you have in the market include the likes of Futaba, Laser, etc. Keep in mind: Make sure the stick on the controller is not very rigid as it might unnecessarily restrict the movement of the plane. Before even starting, you need to decide what kind power source is required by the device you are making. For example, if you want to build an electric powered RC aircraft, then you will see that they work or fly very quietly. 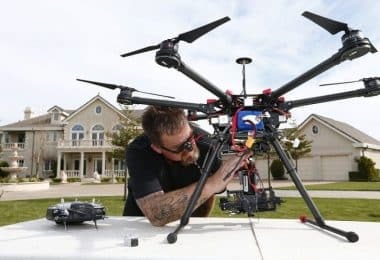 This is something which is user-friendly as you get to fly it to your heart’s content all the while making sure that your neighbors will not be disturbed. 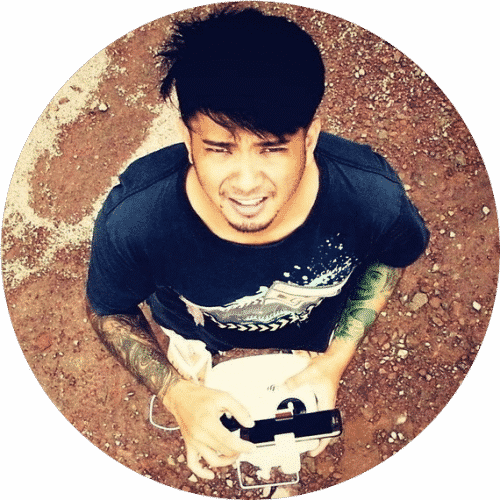 Usually, you will see that RC planes using electricity are smaller in size and faster by nature. Moreover, these types of planes are known to use batteries, especially rechargeable ones. For this purpose, it would be prudent to use Li-Po batteries as they have a proven track record in this field. 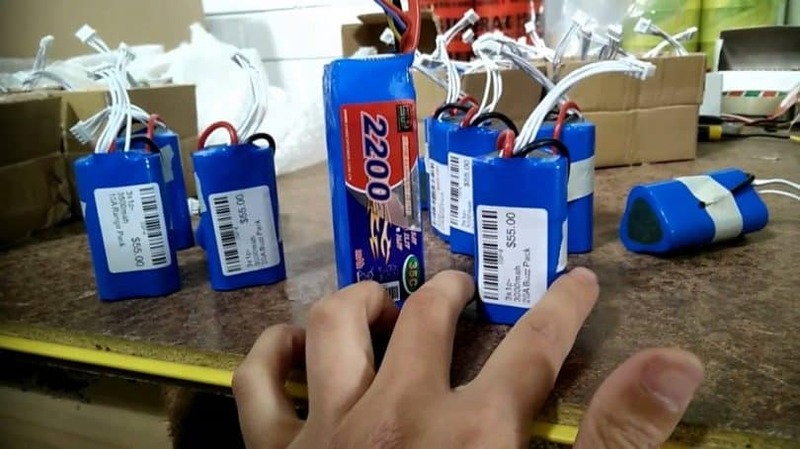 One thing to remember here is that these batteries can get a little heated up; so when you are buying them, don’t forget to get yourself a Li-Po sack where you can keep these batteries separately after use. To get much more familiar with this topic, we suggest checking out our article about drone batteries. 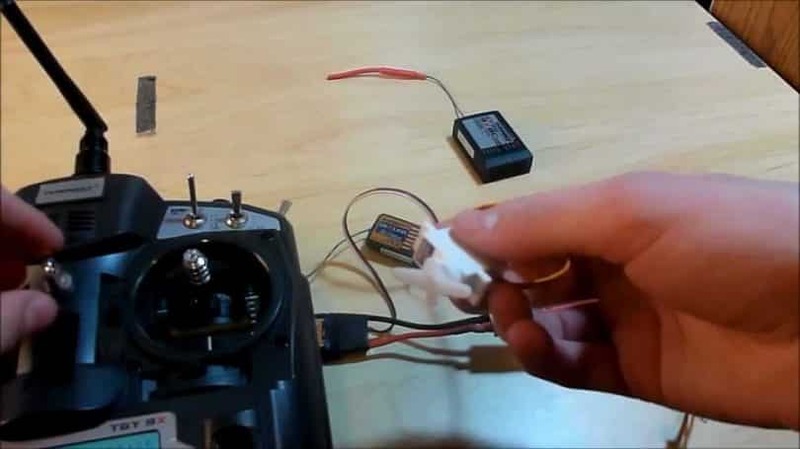 While making an RC device, don’t ever forget to figure out how to shape the powerplant. This is necessary to drive your RC plane, so keeping an eye out for the best powerplants is not a bad idea. Some of the most common powerplants used by these devices include electric motors, internal combustion engines, and the likes. Here, you need to be absolutely careful about the weight and cost as you wouldn’t want to spend unnecessarily on it, and, like with batteries, you can also find out much more on this topic by reading our article about RC motors. Now that we know some of the key components we should have before we start building our first ever RC plane, let us look into some of the basic steps to be followed. 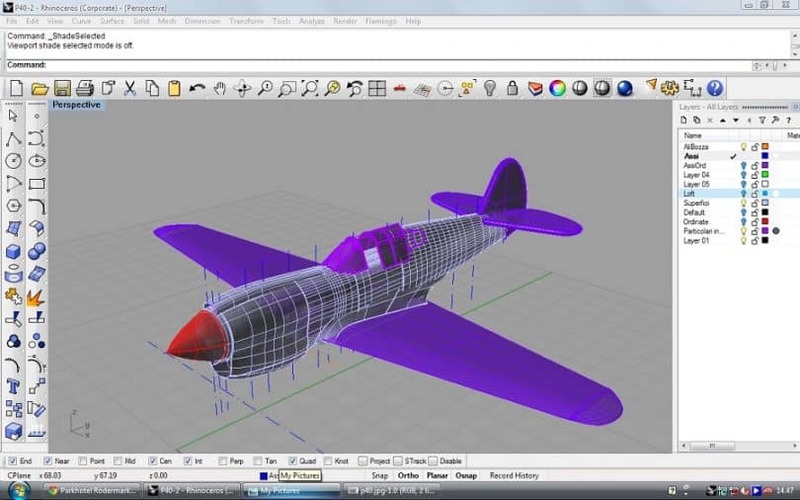 Having a design with the different dimensions will help you construct the plane perfectly. But, in order to build the design, you first have to go through several steps. 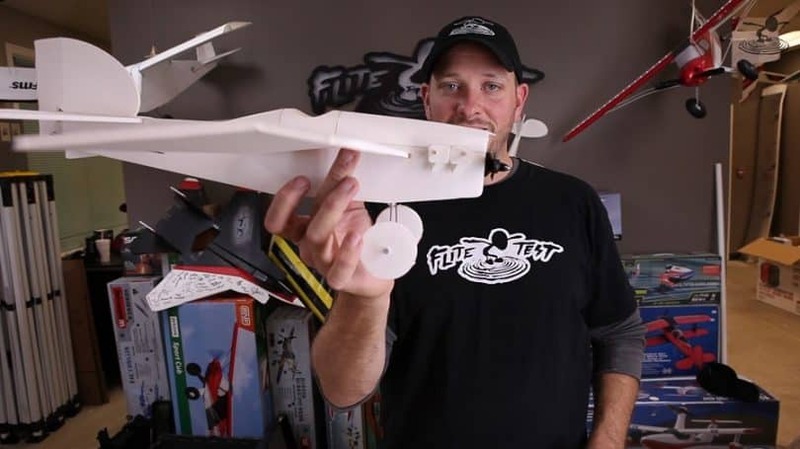 Step 1: What is the purpose of your RC plane? This is the first question you should be asking yourself in order to build the perfect device. Why are you making the plane? It could be just as a hobby for having some fun flying. 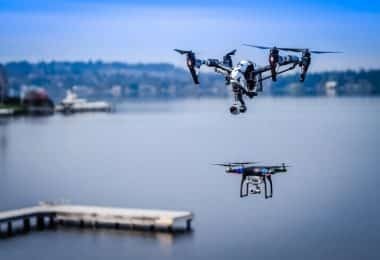 In other situations, you could also add a camera to the plane and use it for getting a view of the world from above or even for aerial photography. The purpose will help you decide how you want your aircraft to be built. Step 2: The huge collection of electronics. What comes with the RC plane is an array of electronics that will be included in the structure. This would include the batteries, servos, receiver and the likes. The more electronics you include, the more it will increase the weight of your aircraft. Thus, in these situations, it would be ideal to have a plane frame that can carry a big payload and doesn’t get defeated by weight. 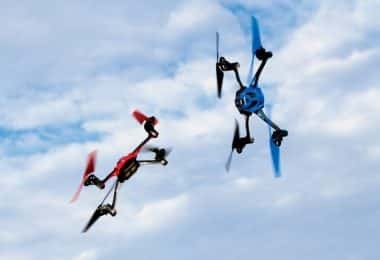 In general, it would be advisable to select the motor and battery in a way that your device gets the right thrust and yet gives you long enough flight times. Collect all the electronic components you need and keep them ready. The total list of electronics would include electric motors, ESCs, battery eliminator circuit, channel receiver, and servos. Step 3: Make an idea of the total weight of your RC plane. Making an RC plane is not a very simple task. Thus, at this point, you need to analyze the weight of your device. This is especially important since you have all the electronics ready now. You can weigh each of these parts individually and add it to the weight. Also, make sure that you add the weight of the model or framework itself. Keep in mind: The total weight of the device should be around 2 to 4 times the weight of all the electronics put together. For instance, if the weight of the electronics (motors, batteries, ESC, servos, BEC, and receiver) is about 900 grams, the total weight of the device could be 900 x 3 = 2700 grams. Step 4: Wing area. The next step includes analyzing the structure in order to get the total wing area. There are a number of online calculators that can help make an idea of the area. For this, you can insert the weight of your device in the making and try out different wing areas. The idea is to have a low wing cubed loading as that helps you in your flight movements. One interesting tip here would be to first consider your aircraft to be a glider device. This is helpful because after it is built, the plane is usually heavier than what it was actually measured to be. Step 5: Wingspan. The total wing area, calculated in the previous step, leads us to the wingspan and wing cord. The key here is to find a suitable combination of wingspan and wing cord such that the product of these two aspects together can give us the total wing area. For instance, if your device has a total area of 900 square inches, you could make a wingspan of 75 inches and a wing cord of 12. Apart from this, you also need to keep in mind the aspect ratio. This will be given by a ratio of the wing cord and the wing span. If you want to make a glider or trainer plane, having a high aspect ratio would be ideal. In this case, the wings would be long and lean. However, if you want your plane to make acrobatic movements, choose a lower aspect ratio. This would bring about short and wide wings that lead to smoother flight characteristics. Step 6: Fuselage and tail. This design is kept for the last since it would require an idea of the wing dimensions. First, we deal with the tail. Ideally, for the tail design, the area of the horizontal stabilizer should be around 25 to 35% of the wing area. Therefore, if the total area of your wing is 1000, the horizontal stabilizer should have an area of 250 to 350 square inches. On the other hand, the vertical area is about half of the horizontal area. Now, for the fuselage, there are no strict restrictions. You only need to ensure that the plane and fuselage together have a solid system around the center of gravity. Step 1: Transfer all your ideas and designs of the model onto a foam board. This will make functions smooth and easy for you. Besides, you would also find it easier to work with glue on such a surface. Step 2: The next step involves making the fuselage. This can be done in three parts. First up, you would have to make the portion of the tail, followed by the central part which is just a box and finally the nose. All of these can be glued together to form the fuselage. Step 3: Next up is one of the most important parts in this process. This involves attaching the electronic components around the fuselage. For starters, the ESCs and BEC are attached on the outside of the fuselage so that when the plane flies in the air, these don’t get too heated up and can be kept cool. The receiver goes inside the fuselage and it is followed by the battery. Finally, the rudder servo is glued to the stabilizer which in turn is attached to the fuselage. Step 4: It is imperative to build a motor mount, one that is strong enough to stay intact even when the plane is flying at high speeds. This can be done by taking two pieces of insulation foam which are then attached to the sides and bottom of the fuselage. You need to wait till the glue becomes absolutely dry, after which you can attach the motor and be ready with it. Step 5: Choosing and attaching the wing is probably the most difficult step of the lot. This is especially true for large RC planes where the wings need to be strong so as to hold its ground even in windy conditions. The servos are glued onto the wing so that the wires stay within the wing and don’t run outside. Step 6: Now, some other attachments are required to be done. The wing is mounted keeping in mind the center of gravity of the fuselage. The batteries should be kept at a place from where you can move them a few inches in front or backward so as to make some adjustments. For the dowels, it would be best to use a pointed tool like a screwdriver for making the initial holes. Step 7: Now, for inserting the control horn pushrod, you would be required to unscrew the servo arm. After that, you could attach the pushrod through the servo arm and then insert the control horn. Thereafter, the servo rod can be screwed back onto the servo. Step 8: The landing gear is indeed an optional component of the RC plane. Some users prefer using the gear, while some others tend to opt for a lighter device with no landing gear. If you choose to use this gear, a taildragger style would suit you the best. In this case, you would have a set of two wheels in the front and a tail wheel towards the end. This leads to more efficient flight performances. Hold the plane a little above your head and run along with it. Thereafter, let it go for one or two seconds. If the plane dips in the front, it has a heavy nose; if it tries to flip backward, its tail is heavy. If it remains steady, your device is ready. Take your newly built device out for a spin and check all the different motor functions. Ensure that you try out all the keys on the controls including the right and left sticks. The flight test is more like your own test to check if all your designs and calculations hold ground. Make a range test to check how far you can take the device. Once that is done, take the plane out and let it hover around about a foot above your head. This will give you good insight on the flight characteristics. So all set? 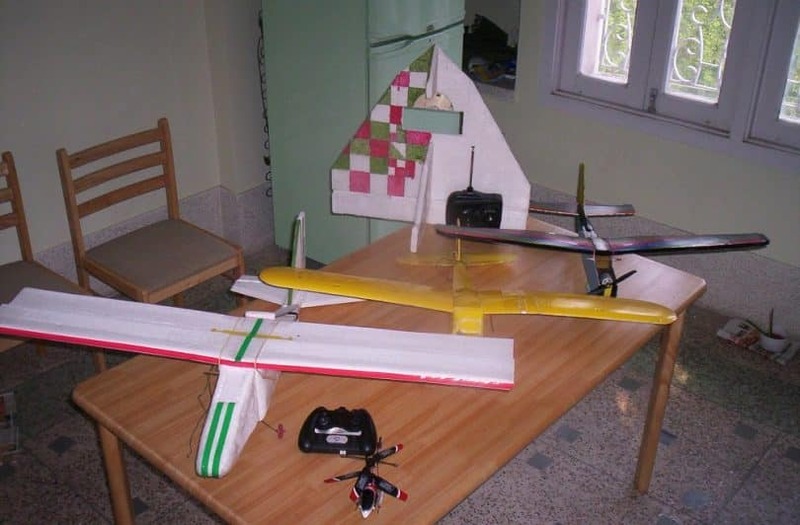 Go and grab all the required equipment, and make an RC plane for yourself. Good luck!